Gabon is one of Africa's richest countries, a civilization teeming with natural life and wealth. The country probably contrasts with what you've seen and heard about Africa, there are equal parts urban jungle and wild jungle here. Gabon is one of the rare African nations that offers entertainment for those who would really rather stay inside and gamble or see a show than spend their nights trekking the jungle or camping out in the Savannah. Gabon's cities are all located nearby the rainforest that is so lush and attractive to foreign tourists, but they also have four star hotels and rooms with soft sheets to sink into at night. Still, Gabon has recently invested heavily in developing its national parks and hopes to attract eco tourists and safari lovers in the near future. For a country with a developed economy, there is a slight shortage of flights to Gabon. The country's airline went out of business, but as tourism picks up and tour operators begin to take wealthy western travelers into the jungles, flights should resume to Gabon. 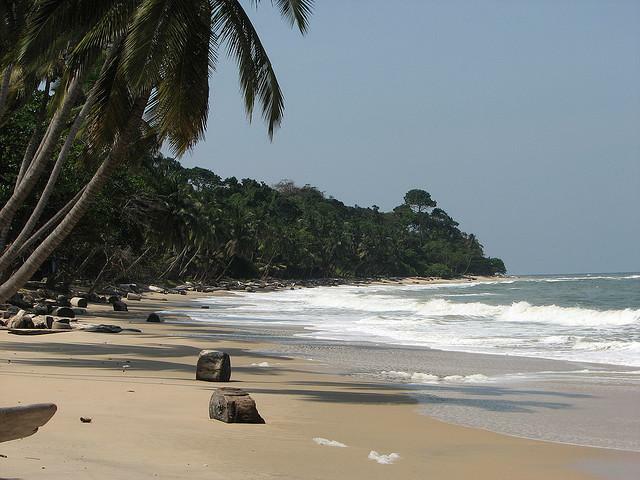 There are a host of hotels throughout Gabon's different cities with entertainment and clubs and bars nearby. For cheaper lodging, you'll want to look at a hostel or guest house, of which there are some in Gabon. For more information on Gabon, check out the message boards where you can ask questions or find answers to any questions you have about traveling to Africa.